GREETINGS from Great Marton, here on Lancashire's Fylde coast. It doesn't look much like July, as neighbours stroll past Edmonds Towers huddled in anoraks and with brollies to hand. But being a man for all seasons, I don't let such vagaries of weather get me down. Besides, I've got some rays of sunshine for you! The new, young thruster editing our local daily paper has seen fit to reinstate my weekly column, A Seasoned Look At Life. My worldly but upbeat offering will now appear in The Gazette every Thursday, hopefully brightening the lives of readers round the Blackpool area and beyond. 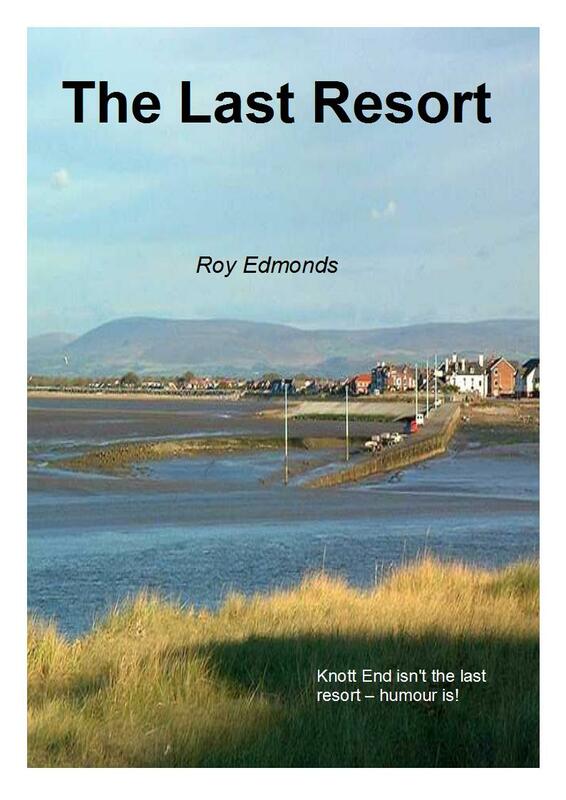 Also, my latest book The Last Resort is now available in paperback and on kindle. It is a humorous memoir with a difference. 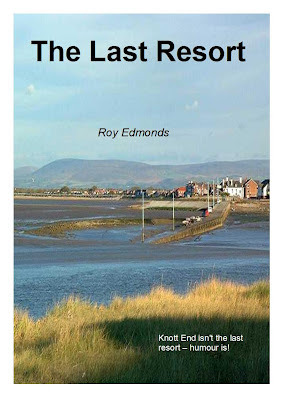 The cartoon-illustrated book includes previous blogs from this website and anecdotes and real-life characters stretching from childhood in Urmston, Manchester, to early retirement here on the Fylde. But the entries will also transport you to places almost as exciting as our blustery coast by the Irish Sea; to destinations as diverse as Oswestry and Hong Kong, Los Angeles and the Australian Outback. So, don't mope if the summer sun falters on odd days, now you can dip into a rich treasure house of colourful memories and take comfort in that last resort which rejuvenates us all - humour. The book is available through Amazon in kindle form or as a paperback from the British Arts Council-backed publisher FeedARead.com. To order a copy or find out more go to our Books page. More memories from exotic climes can be found on this website's Way Over Yonder page of foreign memoir. I shall also be providing you with a sample of another book on our new Excerpts page. This will be kickstarted with my old pal Ed Black's colonial bodice-ripper Romp & Circumstance, a highly spiced and amusing tale which should keep up your temperature and spirits. So, read on dear friends and in all weathers just remember . . .